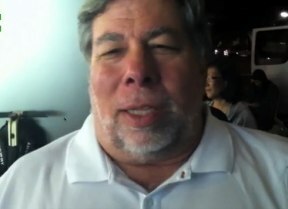 Regular visitors to our blog may remember that we spent a couple of hours chatting with Steve "Woz" Wozniak - co-founder of Apple Inc - a little while back as a guest at one of our Peer Presentations. Since then, honourary CI Staffer and winner of the inaugural "Creative Intersection Certificate of Awesomeness", Steve Wozniak has taken a shine to Australia - and Queensland in particular. This visit sees him in town for a QUT Business Leaders Forum, but of course not one to pass up a good line-waiting, Woz was near the front of the line at Apple's Chermside store to get his hands on the iPhone 5. So, you've heard about QR Codes ? ... You know - those cool little squares of dots that you can scan with your mobile phone to find out more about the poster at your local bus stop. They work by encoding a piece of information (usually a URL or phone number) into a picture that can be recognised by an app and decoded for use by the end-user. QR Codes are neat and are finally starting to get a bit more traction in Australia, having been massively popular particularly in Asia for a couple of years. Now there's a new player emerging and it promises to let you interact in an even more personal way with "real world" objects. Most tablet and smartphone devices (Android, Windows Mobile, Apple iOS etc) use a technology known as "capacitive touchscreens". This works - basically - because the human body is slightly electrically conductive, allowing the device to detect changes in the electrostatic field of the screen when it is touched by your fingers or a special stylus (Wikipedia explains it much better). You can even buy gloves that let you use your smartphone in cold climates by conducting electricity from the tips of the outside of the glove through to your fingertip. So, if electrical conductivity of the human body can be used to control your phone, why couldn't a piece of similarly conductive material be used to do the same thing ? In fact, it can. Just print a pattern on the paper (a playing card or a magazine, for example) using a special capacitive ink and the pattern - when pressed against a touchscreen - will register as if a very complex hand was touching the screen. Then all you need is to have clever app developers like Creative Intersection build an app that can read those patterns and translate them into actions within the app. As a long-time member of the Printing Industries Association of Australia, we are already in talks with local printers to provide this technology under license from its German inventors. If you too can see some potential for this technology (or the Good Ol' QR Code), combined with an app for iPhone/iPad, Android phone or tablet, or Windows mobiles & tablets, call us for a chat. The U.S. and other parts of the world have enjoyed something called "iOS Volume Licensing" for a couple of years, but it hasn't made it to our fair shores until now. 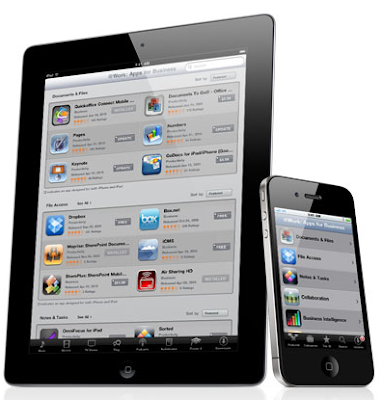 iOS Volume Licensing refers to the ability for institutions (educational, government, and large corporations) to purchase numerous copies of apps in a single transaction (and usually at a discount), and then distribute those apps to their devices without the need for individual users to spend their own money directly via their iTunes App Store account. As an app developer, you have the choice if you wish to make your app/s available for such volume purchases. It's an interesting development, and one which may eventually catch on in Australia for both institutions and developers alike. iPhone 5 Rumours are Hotting Up! With just under a week to go for the official launch of the iPhone 5 by Apple's massive media leviathan at an event in San Francisco's Yerba Buena Center for the Arts, rumours are rife about what we can expect from this latest iteration of the iconic smartphone. How will it look? .... How heavy will it be? .... Will it finally do the dishes for me? From an app developer's perspective, however we are most interested in the technical specs - particularly the screen size, ratio, and resolution. Why do we care ? It's simple. Most apps that we develop are designed to look "just right" on whichever device they are used (from Samsung Galaxy S III to Samsung Notes and Galaxy Tabs ... through to every iteration of the iPhone and iPad). Our designers spend a lot of time moving things around on the screen to get the exact right look (for the user interface - or UI) and feel (for the user experience - UX). When you spend so much effort on creating gorgeous apps, you don't want that messed up by random device changes. 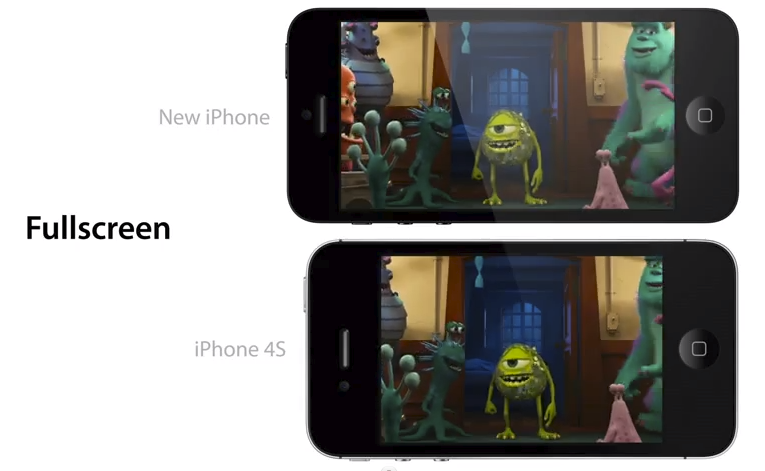 Almost every time a new device is launched (particularly in the Android space, but also very much in the Apple orchard), screen dimensions change to keep in step with technological and cultural advances. Sometimes we can scale apps, but when the ratio (how "square" a screen is) changes then we have to rewrite the "View" of the app to better suit that proportion. And so it seems to be with the iPhone 5 (if rumours are to be believed). The resolution may change to 1136x640 pixels, which is very close to the 16:9 ratio that your widescreen TV at home works at, and the same ratio as the latest Samsung Galaxy S III device (which is even higher in resolution at 1280x720). If that is the case, and it likely is since the old iPhone 4/4S proportions now look far too square for today's media-heavy users, then app developers like Creative Intersection will once again be inundated by client requests to update their apps to take advantage of the new iPhone 5 hardware and use the full screen real estate. If you have an app idea that you would like to discuss, or if you have an app that needs updating to work with new hardware (be it Apple, Samsung, Sony, HTC, Acer, etc), give us a shout. We regularly receive "notifications" from scammers purporting to want to save our brand on our behalf against another company or person who is trying to register domain names such as creativeintersection.cn and creativeintersection.hk (among others). Like all good scams, they contain just enough information to seem legitimate - and they always include a short time during which you should take immediate action to save your brand. "We are a department of business domain registration who have been requested by a client to register a domain name for Creative Intersection. We know that you own that brand and have decided to save your from the other company registering that brand before you do ... by allowing you to register those domains first." Now, as you can imagine we have been around the block long enough to know that this is a scam. It just "smells" wrong. Frighteningly though, we receive at least a couple of phone calls every few months from panicked clients who have received such a notification and ask us to register the domains instead of the company that contacted them. We generally convince them not to bother. One such client - a rather large online business - actually purchased a slew of regional domain names "just in case" and only later admitted that they were taken for a ride. There is NO "other business" trying to take over your brand. 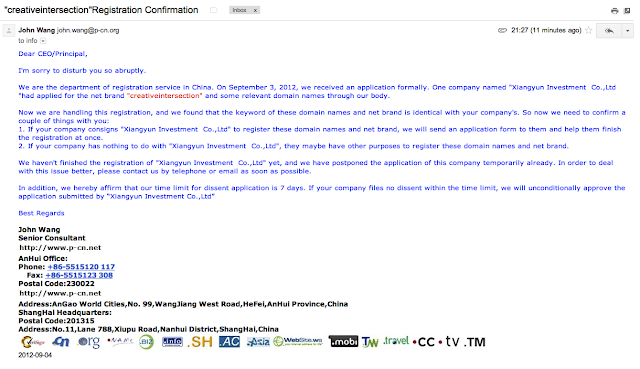 For the most part, the scammers will actually sell you the domain(s) in question, at massively inflated prices. If you have fallen for this scam in the past, don't feel too bad ... The Internet can be a confusing place to do business, and there are lots of people trying to take advantage of your naivety.